Well I didn’t exactly ever fall off of the wagon, but my dedication was slacking. To be honest it is really hard to eat healthy in college. Really hard. I don’t really have problems with working out because I usually get that done in the morning, but some days school just takes priority and getting fro-yo with friends. But it’s also really hard to eat healthy at home. Most of the time I always eat a healthy breakfast such as oatmeal. Of course the end of the school year always includes lots of parties and graduations. The other night my sister had athletic banquet and there was a potluck dinner (I hate potlucks). I only eat what my aunt or mom bring! My mom made oreo chocolate cake which is amazing and my cousin made Texas chocolate sheet cake which is also to die for! 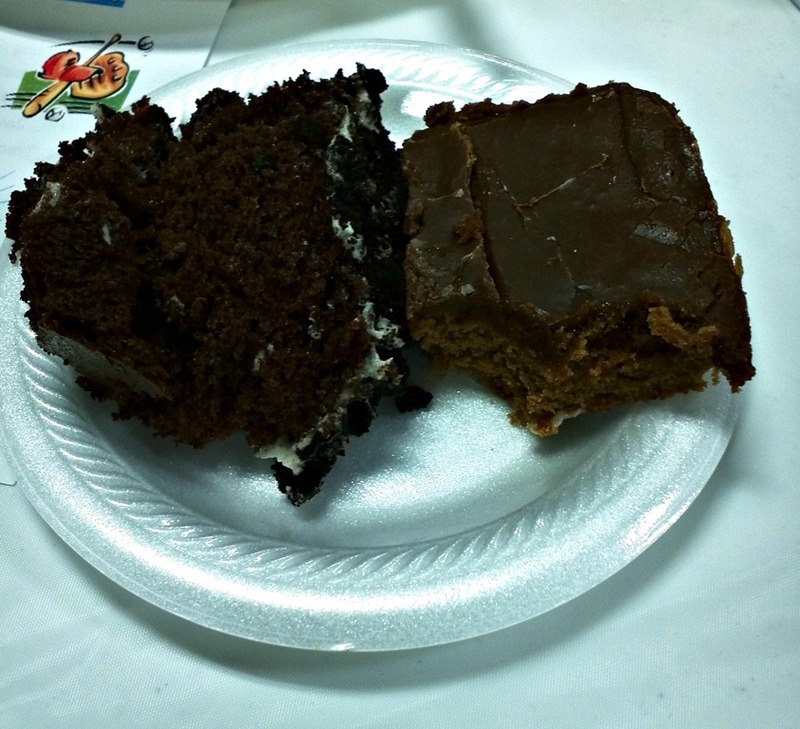 I had two pieces….life changing. I was doing really good at the beginning of the year with getting good solid workouts in and eating pretty healthy most of the time. Then the end of the year just got really busy and I was lacking in motivation. I barely had enough motivation to finish my school work. I want to get back to that place that I was in at the beginning of the year. So for the rest of May just getting back into some type of routine and work on eating better is my goal. Monday I went for a 3 mile run and ended it with some runner’s yoga. Tuesday, I went to my workout binder and did a bikini body full body workout with weights and that went pretty well. Wednesday I went for an afternoon run and did HIIT. I ran for 5 minutes then did 20 seconds at a good pace, 10 second sprint, 30 second slow run, and after I repeated that 5 times I would walk for two minutes. I went through that 3 times and reached 3 miles. After that I did some ab work. Today has been cleaning mania at my house. My sister graduates from high school on Sunday so we have family coming in on Friday for the weekend. So I’ve been cleaning for dayyysss. Not really. Hopefully, I’ll do some kind of full-body workout today. This weekend will be really crazy, busy, full of family and friends, good food, and my little sister will be graduating. *tear* *sniff* *sniff* I don’t know why people, including myself, get all emotional about graduation. It truly is an exciting time! 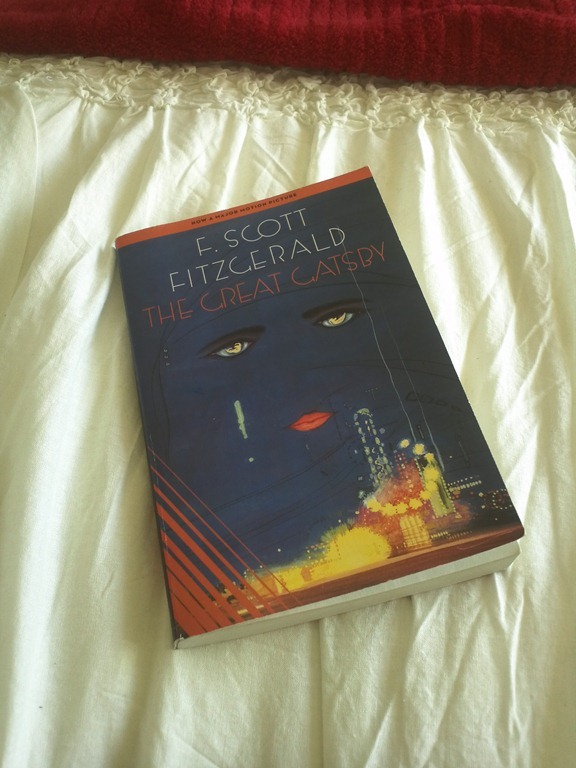 And I just finished reading The Great Gatsby. It was really good! I am now dying to see the movie. Until then I’ll just listen obsessively to the soundtrack and make an excited scream sound whenever the commercial comes on the TV. It’s almost Friday! Have a great weekend everyone! It seems like you are doing great. You blasted through the week exercising and pushing yourselves. It’s alright to eat what you want sometimes. Being healthy is like a juggling act and everyone needs to find their own balance. Great post and keep up the fitness. Ahhh you’re making me so excited for MY graduation!! I totally know how that healthy eating goes. Ups and downs are expected 😉 Have a fabulous weekend!! I totally understand what you mean about college making things difficult for being healthy. I feel like there is ALWAYS a reason to eat junk food- your roommate bakes, your friend wants to go out for ice cream…I definitely have the same struggles! I just needed to comment and say that I totally feel you about how hard it is to eat healthy in college. There’s temptation everywhere and there aren’t many people who share the same ideals about living a healthy lifestyle! And I’ve also been obsessed with Young and Beautiful. Such a great song!